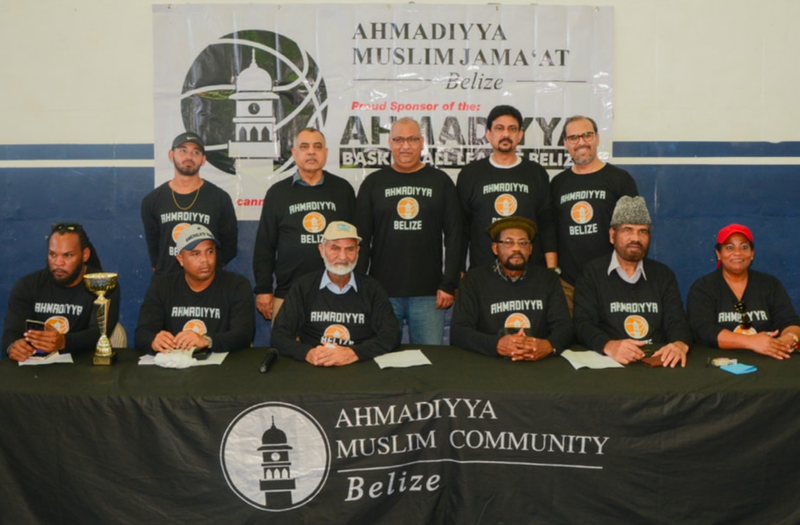 The Ahmadiyya Muslim Jamaat Belize was able to start the fifth season of the Ahmadiyya Basketball League Belize. This league, by the grace of Allah, has opened many doors for the Jamaat in Belize and has become a means of introducing the Jamaat all over the country. Prior to the start of the league, we held a press conference about Jalsa Salana and inauguration of the league. We were also invited to numerous television and radio shows for interviews. This year, we have continued with three age divisions. These divisions are under 23, under 19 and under 15. This year we have 39 teams and over 450 athletes participating in our league. There are teams and youngsters participating in the league from all over Belize. Teams and basketball academies travel from Mexico to attend. Each team is given a set of t-shirts with the league logo, and these serve as the league jersey. The league venue is St John’s College Gymnasium in Belize City. This venue has three courts which are being used simultaneously for each division. The games are played every Sunday and will continue for three months, Insha-Allah. We inaugurated this year’s season on Sunday, 27 January, the day after the Jalsa Salana. Alhamdolillah, over 400 people attended the opening ceremony including players, coaches, organisers as well as special guests and dignitaries. Notable attendees this year included Amir Jamaat-e-Ahmadiyya Trinidad & Tobago, Amir Jamaat Canada, Mayor of Belize City Mr Bernard Wagner, MP Carribean Shores Mr Kareem Musa, Mr OJ Elrington, Coordinator Youth Apprenticeship Programme Mrs Dianne Finnegan, Abdullah Dibba Sahib and Daud Ahmad Sahib representing PAAMA USA, Azhar Goraya Sahib, Missionary Mexico Musawar Ahmad Sahib, missionary Guatemala and several other guests from the USA, Canada and Mexico. The ceremony began with recitation from the Holy Quran, followed by introductory remarks by the organizers as well as short motivational speeches by the dignitaries in attendance. After this, the games commenced.